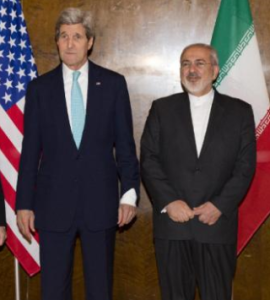 Iran’s leaders reject Obama deal, calling it “unacceptable.” It’s been a bizarre few days. Here’s the latest. As one of my subscribers comments elsewhere, “It’s a reminder that the heart of the king is in God’s hands”! * The leader of our most faithful and trusted ally comes to Washington to warn of a mortal and rising threat from a dangerous and deceiving enemy. * The President of the United States refuses to meet with him. * The President sends his VP out of the country to avoid our ally. * The President sends the Secretary of State out of the country to avoid our ally, and instead to meet with our enemy. * The President refuses to allow any of his Cabinet Members attend the speech by our ally. * The White House pressures Members of Congress to boycott the speech of our ally. This entry was posted in Geopolitics, History, Middle-East, News and tagged Iran, Obama, Rosenberg by Richard Barker. Bookmark the permalink. Looking forward to catching up with it later.